Das Team der Bibliothek freut sich auf Ihren Besuch. Foto: J. Vogel, LVR-LandesMuseum Bonn. Persons who want to find out more about the Neanderthals, the Romans along the Rhine, or the works of art in our museum are very welcome to visit our library. This is a special scientific library for archaeology and art history. 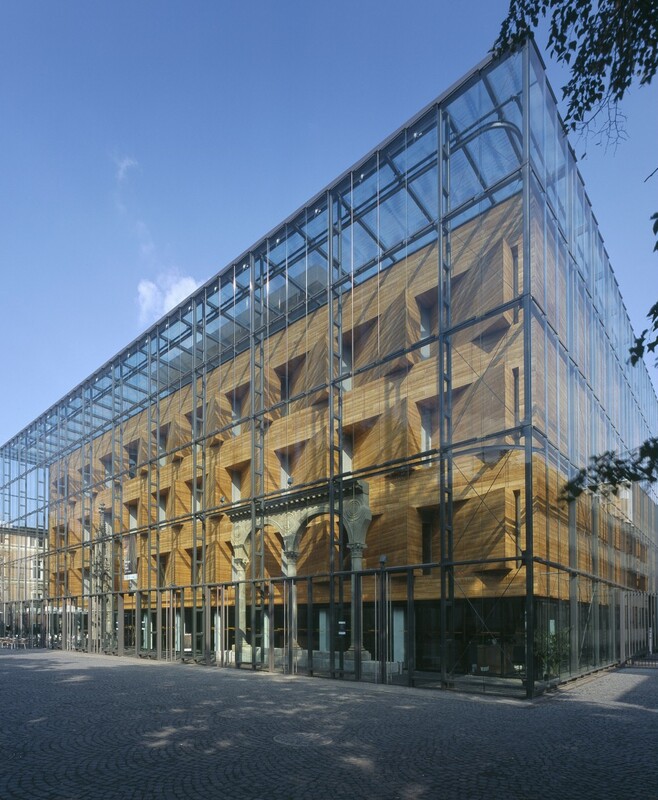 Disposing over more than 180,000 books and around 900 current periodicals, it is one of the largest specialist archaeological libraries in Germany. It was founded nearly 200 years ago by the "Verein von Altertumsfreunden im Rheinland (Society of the Friends of Rhineland Antiquities)", which continues to support our acquisitions even today. Sammlungsschwerpunkte in der Bibliothek des LVR-LandesMuseum Bonn. Foto: J. Vogel, LVR-LandesMuseum Bonn. 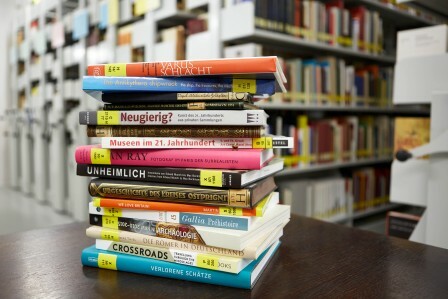 Our library collections mirror the research and exhibition work done at the LVR-LandesMuseum Bonn. Above all, we collect books and other media dealing with Roman provincial archaeology, archaeology of the Middle Ages, and art history in the Rhineland from the Middle Ages up to the present day. 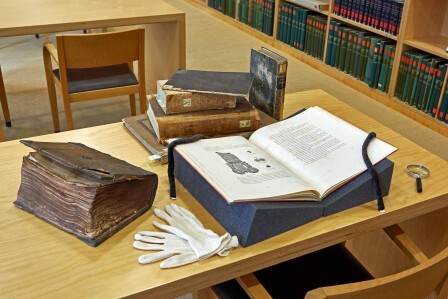 In addition, we have a great number of exhibition and collection catalogues, literature pertaining to numismatics and epigraphics, museum conception, museum research, and provenance research. Also, our collection of digital media such as CDs and DVDs has been growing constantly. Since 1992, all new acquisitions have been entered into an online-catalogue. Literature acquired prior to 1992 is accessible via a card catalogue, which is presently being transferred to the online catalogue (retro-cataloguing). Im Lesesaal der Bibliothek kann an mehreren Arbeitsplätzen in Ruhe gearbeitet werden. Foto: J. Vogel, LVR-LandesMuseum Bonn. Bücher aus dem Altbestand der Bibliothek. Foto: J. Vogel, LVR-LandesMuseum Bonn.